Welcome to Commercial Driver Training, Inc.— A New York State Licensed Driving School by the Department of Motor Vehicles to prepare students to enter the trucking industry. After decades of providing quality driving lessons for Tractor Trailers, trucks, and bus drivers, we have earned an impeccable reputation as a specialized provider offering programs to cover the strict requirements of different sectors, from fleet companies to individuals choosing the path of commercial driving as a career. Founded in 1961, our school has been providing courses to produce highly skilled, responsible commercial drivers. Our Mission is to develop professional drivers to have a strong outlook on life, safety, protection of property, equipment and the environment through team-work. We are able to achieve this consistently by using our consistent training methods and by updating our curricula to comply with the current regulations. At CDT, we take pride in our wealth of experience, as it resonates the high quality of training we are able to deliver without fail. We are proud of our crucial role of laying a solid cornerstone in the careers of individuals entering this demanding industry. We offer programs, meticulously designed to provide participants essential knowledge and practical experience in driving.Our Private Training Classes are individual instruction to prepare just for road testing. We also provide fleet training and refresher courses. Our Industry Vocational Training Courses (Career Training I, Career Training II Part Time, CDL A Career Course, and CDL B Career Course) are for those individuals wanting to undergo intensive training for tractor-trailer, truck, or bus driving. 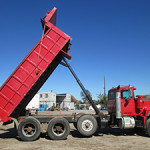 Commercial Driver Training is currently a training leader for large and small fleet companies. Some of our many customers include Con Edison, United Parcel Service, Verizon, Coco-Cola, PSEG Long Island, National Grid, Canada Dry/Pepsi Cola Bottling Co. of NY, and the Triborough Bridge and Tunnel Authority. Commercial Driver Training offers a vast variety of Industry Training programs designed to meet a specific company's needs. These programs can assist in reducing accident rates and insurance costs. We can arrange to do training on site at CDT facilities in West Babylon, NY or go on-site to actual vendor location. • CDL License Training for Tractor Trailer, Truck and Buses. 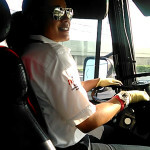 The driver training we provide serves as a ticket to start a promising career in the trucking industry. Our team of licensed Department of Motor Vehicle instructors have exceptional teaching skills and exhibit integrity to guide participants throughout their journey to excellence. Take a tour of our site for more about programs. Contact us today for more information. A proposed federal rule set to spell out required minimum training standards for new entrant truck drivers has been sent from the Federal Motor Carrier Safety Administration to the White Houses’ Office of Management and Budget for approval. The OMB is the rule’s last stop before publication in the Federal Register. As this is the proposed version of the rule, the agency will take comment from the trucking industry, stakeholders and the general public for 60 days following the rule’s publication. The rule has not been made public yet, so what it will require of drivers and carriers is not yet known. The rule was produced via a so-called “negotiated rulemaking,” meaning a committee of drivers, fleets, regulators and other industry stakeholders met several times to flesh out the basic form of the rule before handing it to FMCSA to finalize and put into the regulatory pipeline. 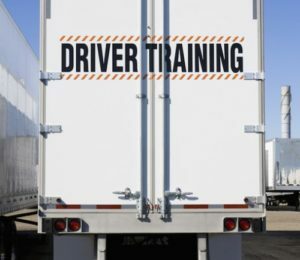 As reported earlier this year by CCJ, the committee’s key recommendations for the rule included requiring 30 hours of behind-the-wheel training time, establishing a registry of driver training providers and establishing certified curricula for CDL applicants. The OMB’s rulemaking portal says the White House received the rule Nov. 7. The OMB typically clears rules within 90 days of receiving them. The rule should be published shortly after its clearance by OMB. Thanks for your Help. Your school is one of the best that I deal with in the Eastern US. I hope to get by there sometime in the future. Thank You for getting this all done. Kim: Jimmy was an excellent instructor!! Thank You for getting this all done. Hello CDT. Yes, I am working shortly after finishing CDT. I started working for Nassau inter county express (NICE). I wanna thank Hempstead Works and CDT for helping me get back on my feet! I hope this letter finds everyone in good health and good spirits. I would like to say thank you and give much appreciation to the CDT staff. With your instruction and encouragement I have passed my CDL Class A test. I am now a U.P.S. Tractor trailer driver. You guys have gone above and beyond. You really care about the students, what they learn and how they put it in practice. I want to give a special thank you to Mike aka SGT Slaughter, Darren, Dave, Charlie, my Fed-Ed competition Will. To the other instructors who I've met in passing you all deserve a thank you as well. The ladies in the office, you are all top notch. I've enclosed a few business cards. If any of you need a photographer, I got you covered. A message to Dave from Franco, he says hello. I thank you all once more. I just passed my road test! I have been qualified on the Tractor Trailer. I have been qualified on the Tractor Trailer. I took your refresher course November 2015 and Post office qualified me Wed.8/3/2016. There reasoning for the delay was to qualify the newly hired letter carrier on the delivery trucks. Thanks for your patience with me. I recommended commercial driver Training School to who ever asked me about the trailer. I wanted to take a minute and thank you for the outstanding training that I received this week. Because of the team of expert instructors you have I was able to pass my CDL road test on Wednesday afternoon. I dove with Mike and Charlie, both of whom I feel were very experienced and they were able to share their wealth of knowledge to a relative newcomer in a way that easy to understand, and then put into practical application and situations. When I showed up to my road test I felt prepared and confident that I was ready, and that I would be able to pass. Thank you again. Thanks for a successful double road test. Kim, Thanks for a successful double road test. Mike and Charlie were great. So are you and Jenna. Much appreciation for all your efforts. I'm writing to express my sincere gratitude and thanks to the staff at CDT. I completed your Straight truck & Bus Course Combined training program and was well prepared for my NYS DMV CDL permit, Endorsement and Road test ( passing on the first attempt) The classroom instruction gave me the needed information and understanding of commercial vehicle operating systems, components and inspections, while also providing knowledgeable insight and helpful information to driving and their operation Each of the Instructors added their own individual, unique experience, style and blended contributions, resulting in the right mix for a successful learning experience. their goal was educating and preparing students for safe and proper driving. Gloria gave a spot on half day employment presentation, which was helpful, informative, cheerful, entertaining and enjoyable at the same time. I am completely satisfied with the staff and training I received at CDT and recommend them to anyone that is interested in driving commercial vehicles. Thank you for the professional knowledge, experience and instruction that i received. What a great experience I had at your training facility. Dave is great instructor, his patience and teaching style are great. He made the time behind the wheel stress free and fun. I passed my road test with 0 points thanks to you and your staff. Thank you so much! I am writing this letter on behalf of my appreciation for the excellent experience I had at CDT over the last three months. Everyone at CDT is a true professional. However, it is the purpose of this letter to point out two individuals within your organization that helped me a great deal and are, in my opinion, "stand-out people. The first is Gloria. She was able to accommodate lessons around my schedule and no matter how many times that I called to reschedule or cancel them, she always conducted herself with a very high degree of professionalism, courtesy and knowledge. The second is Alex, who as my instructor went above and beyond. I had Alex for nine out of fifteen hour of instruction and I can say that i passed my road test because of the skills that he imparted on me. He is an EXCELLENT instructor who us patient, knowledgeable, direct and thorough. He ensured I knew everything above the truck, the road test and how to be confident behind the wheel. Again both Gloria and Alex are true assets to CDT and I cannot express my gratitude enough to both of them and CDT as whole. I have enclosed three copies of this letter. Please be sure to give each of them a copy. I wanted to take some time to convey some thoughts about a class we took last Friday. As a student who was a general manager for hardly davidson dealerships for 18 years I feel I can make some observations regarding that class. I was so impressed with the was Gloria navigated through a very important art of all of the students future job hunting, and the way she taught the lesson in a way that the students felt comfortable.